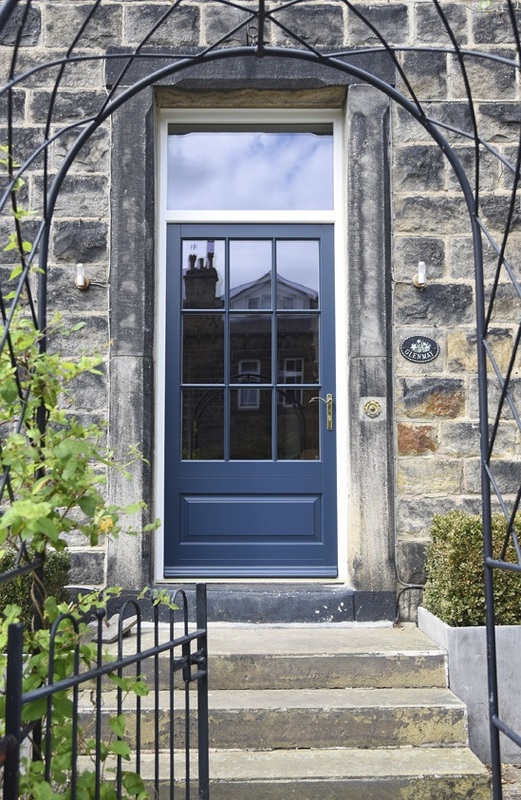 Mr & Mrs Wilsmore’s home in Leeds was in need of an uplift, with the main focus being the windows and doors on their prominent detached house sitting on a corner plot. 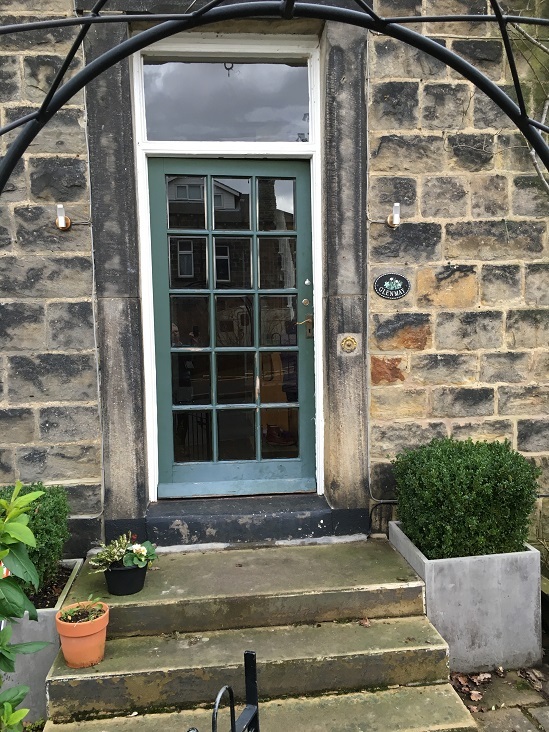 The before and after photos, especially in relation to the two entrance doors, show what a transformation the house has undergone. 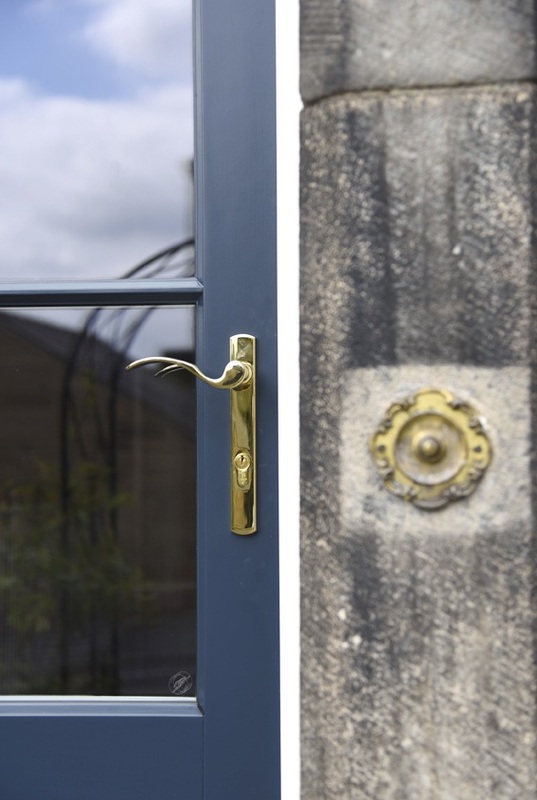 The custom side entrance door is based on our Bardwell design with toplight finished in ‘Harewood Grey’ with an ‘Off-White’ frame, 27mm astragal bars and brass ironmongery. 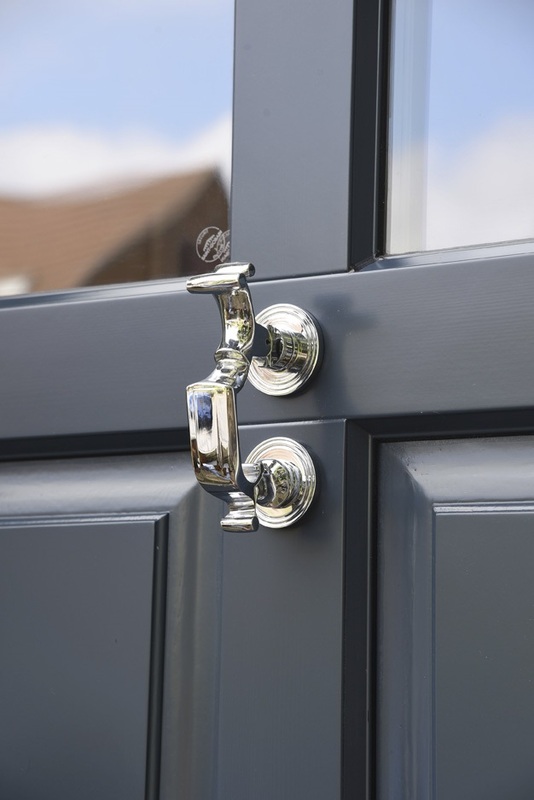 The front door is a Chalfont design with toplight, painted in ‘Harewood Grey’ with a frame matched to Farrow & Ball’s ‘Old White’ and chrome ironmongery. 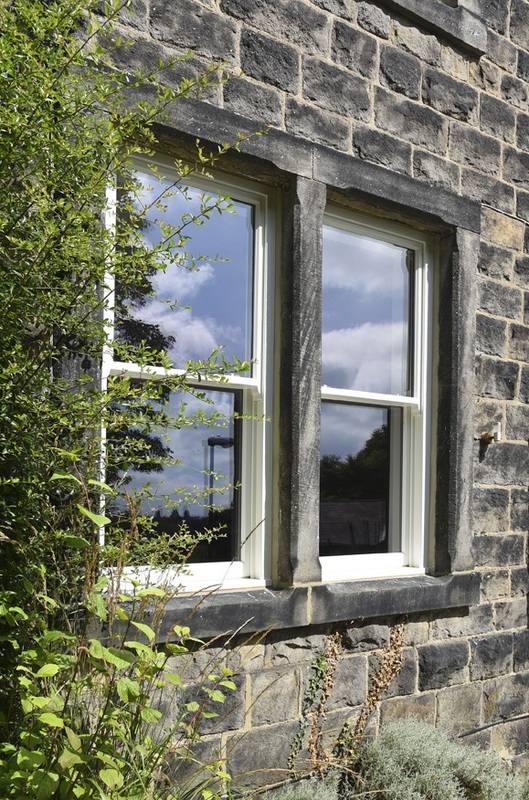 Box sash windows hung on traditional chains and weights are finished in ‘Off-White’.